HomeBlog Credit Card DebtI Owe $15,000 on Credit Cards That Have an Average Interest Rate of 15%. 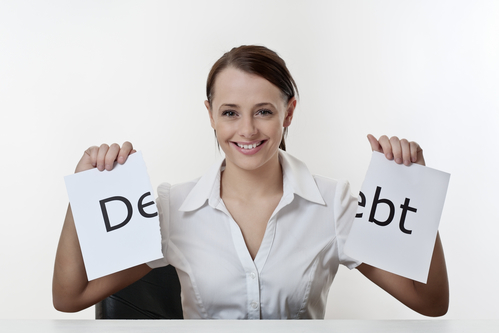 Should I Get a Debt Consolidation Loan? As the following video explains this will depend on the type of loan you can get to pay off these credit cards. If you were able to get a personal loan at, say, 9% it could make sense. As you saw in this video, if you could pay $600 a month on those credit card debts it would take you 31 months to get rid of it and would cost you $3,097.97 in interest. If you were able to get a 48-month debt consolidation loan for $15,000 at an APR of 8.253%, your payment would be about $367. That’s a savings of $233 a month. Be aware that you’re basically trading time for money because it would take you 17 more months to pay off the loan. Notice that the example given above was based on getting a personal loan at 9%. The problem with this is that it’s very unlikely you could get a loan at this attractive an interest rate. Personal loans are unsecured loans as you’re not required to offer any collateral to secure them. This makes them much riskier for lenders. If you’re already having a problem with debt that would make you appear to be even riskier. So if you were able to get a personal loan it might have an interest rate closer to 14% than 9%. Many people struggling with debt have found debt settlement to be a better option than a personal loan. This can be especially true if you owe that $15,000. 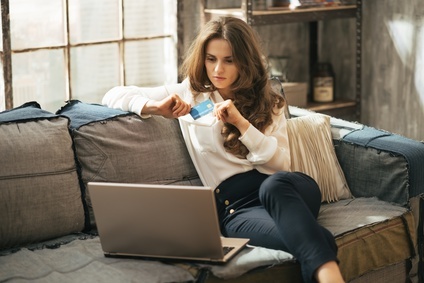 The major reason for this is because debt settlement was created specifically to help people that are struggling to repay their credit cards and other unsecured debts – who are months behind on their payments and unable to get a personal loan. When you sign up with a debt settlement firm it will take responsibility for managing your debts. Instead of paying your creditors you will make an affordable monthly payment to the settlement company. It will deposit this money into an FDIC insured trust account that you control. When a sufficient amount of money has accumulated in your account to settle one of your debts the settlement company will ask you to release enough money from your account to cover the settlement. Spoiler alert – debt settlement won’t get you debt free in just a few months or even a year. It generally takes anywhere from 24 to 48 months to settle all of a person’s debts – depending on how much they owe. Debt settlement has another big plus as it represents the only way to get credit card debts reduced. While there are other options for dealing with big debt such as getting that personal loan, consumer credit counseling or a balance transfer all of these merely move your money from one set of lenders to a new one. In comparison, when a debt settlement company settles with one of your lenders it will do so by offering a lump sum payment but for less than your balance. In fact, a good debt settlement company is often able to get debts reduced by 40% or even 50%. If you think that debt settlement might be a good option, you need to do the math before contacting any debt settlement company. Debt settlement companies are for-profit firms and generally charge a fee of anywhere from 15% to 25% of your total debt. Getting back to that $15,000 example a good debt settlement firm might be able to get that credit cards debt cut to $7500. Assuming you’re charged the maximum fee of 25% their fee would be $3750. Subtract that from the $7500 it’s saved you and you would still have a net savings of $3750, which would certainly make debt settlement a very good option.